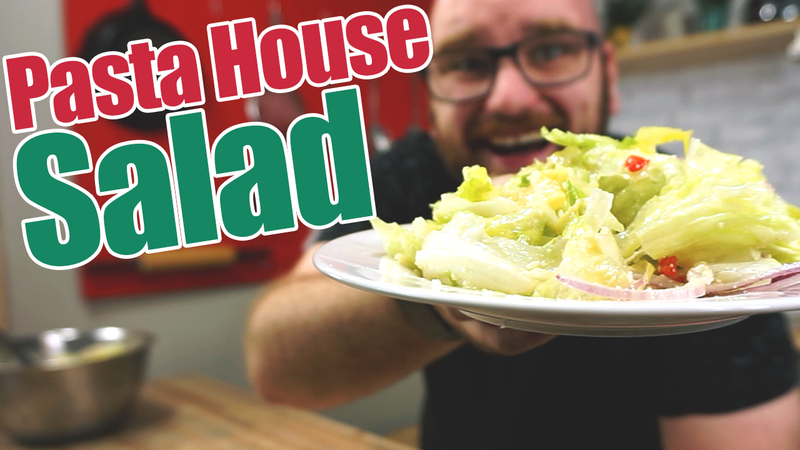 We visited St. Louis this summer and I tried the amazing Pasta House Salad. This Pasta House Salad recipe starts at the lettuce and we work all the way through the mouth watering Pasta house salad dressing recipe. Mix it all together and thats how to make the pasta house salad! It is really simple salad recipe and I hope you enjoy! A salad from the awesome Pasta House in St. Louis.